Medium: original lithograph. 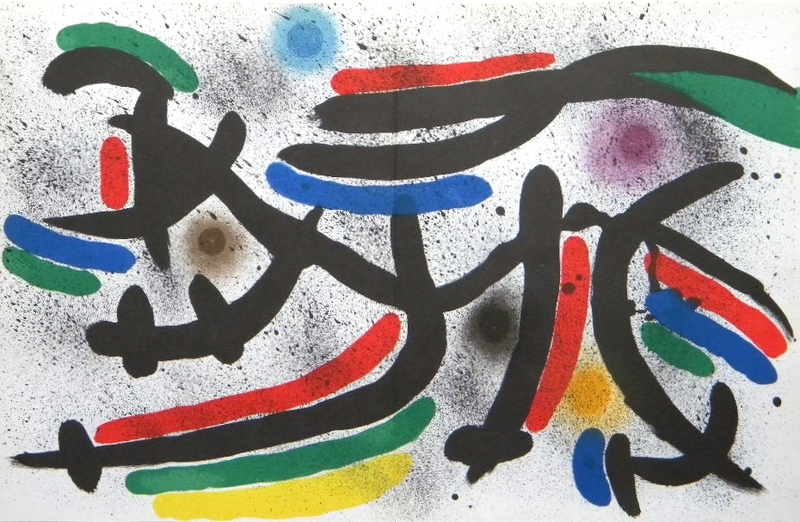 Printed by Mourlot and published in 1972 for the "Miro Lithograph I" catalogue raisonne. The reference number for this original print is Mourlot 865. Sheet size: 12 1/2 x 19 1/2 inches (320 x 455mm); this work was issued as a folded sheet with an obvious crease down the center. Not signed.